Schools could be tasked under legislation with preparing students for The Big One, and its horrible aftermath. SALEM — Oregon is earthquake country, and students across the state practice duck-and-cover drills just the same as they practice fire evacuations, learning to protect themselves in the event of a damaging quake. Now, some legislators and emergency management officials are zeroing in on a more difficult question: What happens once the shaking stops? Two bills heard by the House Veterans and Emergency Preparedness Committee on Thursday afternoon, March 14, aim to better prepare students and schools for life after "the Big One," the magnitude 7.1-plus megathrust earthquake, generated from offshore, that experts believe has a nearly two-in-five chance of happening within the next 50 years. State agencies like the Oregon Office of Emergency Management and the Department of Geology and Mineral Industries aren't optimistic about Oregon's ability to withstand a major earthquake, one that geologists believe could be as powerful as the magnitude 9 Tohoku earthquake that leveled parts of Japan in 2011. Projections suggest that parts of the Willamette Valley, including the Portland area, could be without electricity, running water or sanitary sewer service for weeks, possibly months. Many roads, bridges and rail lines are likely to be impassible. Hospitals and other health care facilities would likely be knocked out of commission, while first responders expect to be overwhelmed, leaving many Oregonians to deal with injuries on their own. A state study released last year suggested that 63,000 people could be injured or killed in Clackamas, Multnomah and Washington counties. Some emergency planners are concerned that these grim analyses have not focused closely enough on the impact such a disaster would have on families. They have found support from lawmakers like state Reps. Paul Evans, D-Monmouth, and Sheri Schouten, D-Beaverton. "At least in the short term, it will be a very different environment," Evans said. "It's sometimes difficult for Oregonians to recognize, all right, after an event — OK, you've got your three days of water and food — it's going to be months, perhaps even years, for things to get back to what people would think of as normalcy." Ashley McConnell Vanderjagt, emergency management coordinator for the Beaverton School District and a Schouten aide, testified before the committee Thursday, March 14. Schouten and McConnell Vanderjagt support House Bill 2558 Evans' proposal for a state study on the effects a major earthquake would have on children and what can be done to prepare. The Beaverton School District conducts drills like any other school system in the state. Still, McConnell Vanderjagt said she sees "a huge gap in planning" between what schools do now and what they may have to do in the days and weeks after a massive earthquake. Schools and childcare facilities are "grossly ill-prepared" for such an event, she added. "One of my biggest fears is the thought of my family being separated for an extended period of time in the event of a major seismic event," McConnell Vanderjagt said. "Children who are separated from their caregivers immediately following an event, such as a disaster, are shown to develop lasting emotional problems and an increased risk of adjustment problems after the disaster. … In a disaster, many children will be particularly vulnerable because they are away from their families and at schools and day care centers that are inadequately prepared to deal with the aftermath." House Bill 2229, also heard March 14, would direct schools to use their existing time for earthquake drills to provide more detailed instruction to students on how to prepare to survive a natural disaster. "What we will do here is save lives," said state Rep. David Gomberg, D-Otis, the bill's chief sponsor. Officials from the American Red Cross Cascades Region testified in support. "High schools are where culture changes," said Steve Eberlein, whose Red Cross duties include speaking at schools on the need for earthquake preparedness. "Right now, one of the biggest problems is we don't actually expect each other to prepare for this earthquake — and that's what drives culture. Expectation is a product of culture, and that's what we can start to establish in high school. How many of us stopped smoking or started buckling up or changed a behavior because we have a high schooler that came home and started badgering us about our behavior, one that is engrained in our culture and that we had come to accept?" Some school officials are less enamored with HB 2229. "It gives me no pleasure to come and argue against things that I think are good ideas," Morgan Allen, lobbyist for the Confederation of Oregon School Administrators, said. "I think if you talk to most of our members, they would say, 'Yeah, if we can fit this in, if we have the resources, we would do this.' But unfortunately, that's not the world we live in." Allen argued that schools in Oregon are already stretched thin and don't need the Legislature to mandate more lessons, especially since Gomberg's bill doesn't fund any additional staff training. "We're not talking about just drills and instruction," Allen said. "We're required to teach students how to both prepare and survive natural disasters. So that's a significant increase in the scope and the breadth of what we're asking school districts to do." "To put it very boldly," Allen asked the committee, "what would you like us not to do so that we have time to do this?" Evans defended the bill, noting that the Legislature has already created a grant program to pay for schools' seismic retrofitting and asking why it shouldn't expect schools to prepare their students for natural disasters as well. 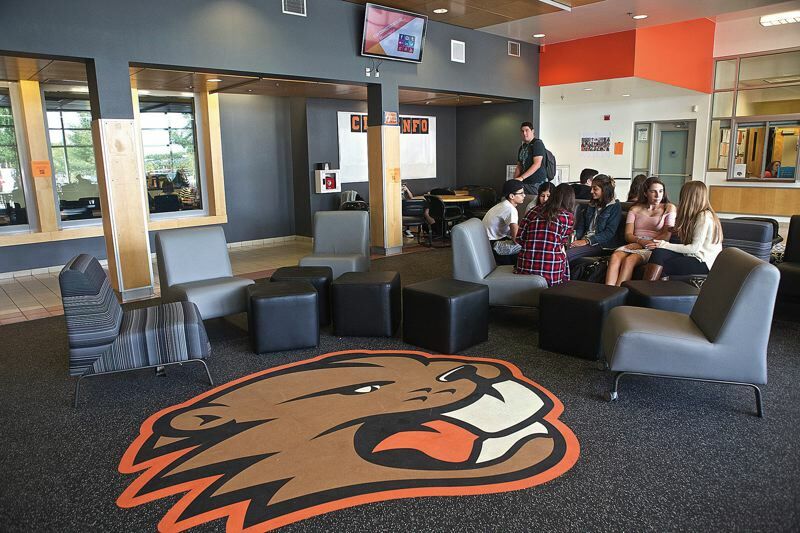 "At some point, some of these things that have continued to be not part of the role of schools because of costs are going to have to be analyzed," said Evans, who teaches at Chemeketa Community College. After taking a brief recess, Evans assigned state Reps. Rick Lewis, R-Silverton, and Courtney Neron, D-Wilsonville, to take a closer look at HB 2229 in a work group. Lewis is a former Silverton police chief and instructor, while Neron previously taught in the Tigard-Tualatin and Yamhill-Carlton school districts. 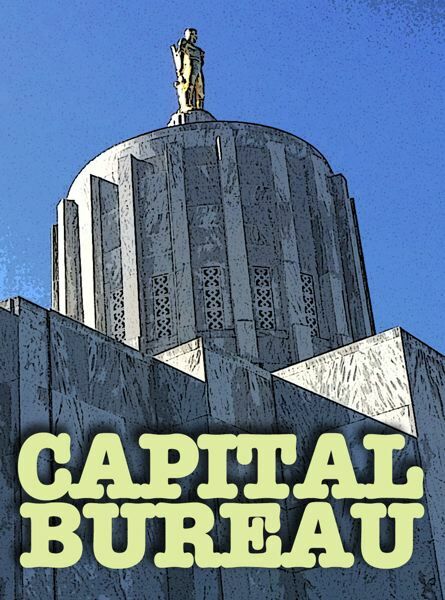 The committee also held a public hearing Thursday on House Bill 2208, which would set up a grant program to assist businesses and nonprofits across Oregon with seismic retrofits. That bill is supported by a number of groups based in Multnomah County, including the city of Portland.